Holders Real Madrid will be without suspended captain Sergio Ramos when they host Juventus in the Champions League quarter-final second leg. Defender Jesus Vallejo, 21, could start alongside Raphael Varane for Real, who lead 3-0 from the first leg in Turin. Juventus will be without forward Paulo Dybala, who was sent off in the first leg for two yellow cards. Twelve-time winners Real are looking to win the competition for the fourth time in five seasons. 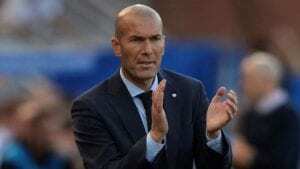 Real boss Zinedine Zidane also played down suggestions his side are favourites to win Europe’s most prestigious club competition again. Zidane said his side still had work to do to advance past Juventus despite their handsome lead. “I’m not interested in talk of favourites, I prefer to show it out on the pitch and we must respect all clubs and all aspects of football,” added the Real boss.